Discover the exclusive TRIBAL story shot by SINEM YAZICI for DESIGN SCENE with the latest KIKIRIKI USA collection of dresses ready for the festival season. The stars of the session are the striking Chantal Kammermann at MAJOR Models in New York as well as the gorgeous Elena Azzaro at FUSION Models NYC. In charge of the styling was KikiRiki USA’s Kursat Deligoz while hair styling and makeup were handled by Ehad Yurekli. In addition to the Kikiriki USA dresses the girls are wearing head pieces exclusively designed for our DESIGN SCENE / KIKIRIKI USA session by the talented creatives at MY GOOD HEAD in New York City. With the festival season in full swing the new Kikiriki USA collection was inspired by one of the leading if not the best festival out there, The Burning Man where music and style truly meet. Kikiriki USA is already a well know women’s lifestyle clothing brand in Europe but since 2014 it’s garnering attention in the USA as well with it’s American division. The must see Flagship store which opened two years ago is located in New York’s Manhattan on the 676 Broadway street. The NYC store is the place where you can find all of the showstopping dresses featured in our great outdoors fashion story. You can also keep up with the latest from the label on social media by following their instagram account @kikirikiusa as well as their facebook at facebook.com/Kikirikiusa. 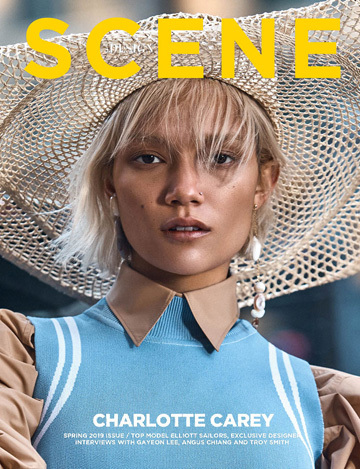 Their creative team shares inspiring looks hitting the shelves at their New York story on their socials but it is also the place to see their latest designs. For more of KIKIRIKI USA log on to kikiriki-usa.com.